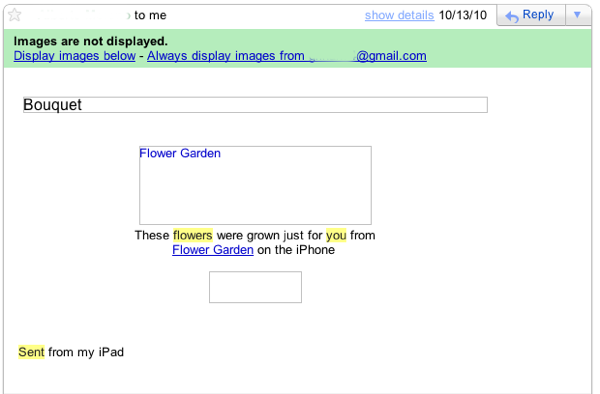 Flowers are sent as an image in the email body. Some email client don’t display images by default, and you need to press a button to force the image to display. If you use Outlook Express, here are Microsoft’s directions to display images. Apple Mail and iPhone/iPad Mail display images by default, so those are not usually a problem.